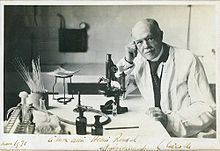 Charles Jules Henri Nicolle (1866-09-21 – 1936-02-28), French bacteriologist. Director of the Pasteur Institute in Tunis, Tunisia. This page was last edited on 17 April 2019, at 07:42.